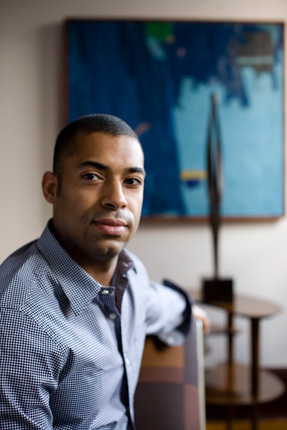 Philosophy — Rodney Lawrence Inc.
After studying art history at Dartmouth, Rodney earned a master’s degree in the History of Decorative Arts and Design from Cooper-Hewitt, National Design Museum. He worked with two of New York City’s top interior designers: Sisken Valls, where he started his career in interior design, and Thom Filicia, Inc., as a senior designer for seven years. Since founding Rodney Lawrence, Inc., in 2006, he has become known and respected for creating comfortable, modern interiors that complement his clients’ sensibilities. With his work profiled in Domino, House & Garden, and Design Bureau, Rodney’s hands-on and direct approach allows him to consider every element of a space as part of an entire composition. Rodney seeks to create spaces that endure, that resist being dated by trends. He tailors each project to each client, relishing the moment when he has to shift out of his “comfort zone” to find the best solution that reflects both the client’s personal tastes and his own exacting aesthetic.